Hello! Hope you all had a great week. This week I didn't find too much... 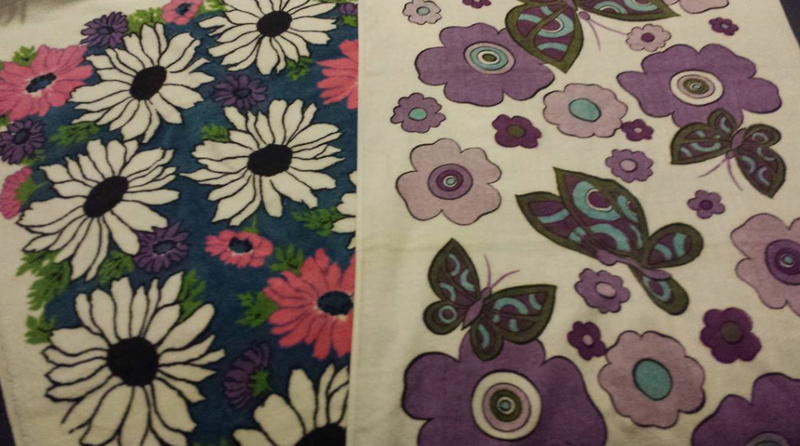 I found a huge lot of vintage towels! 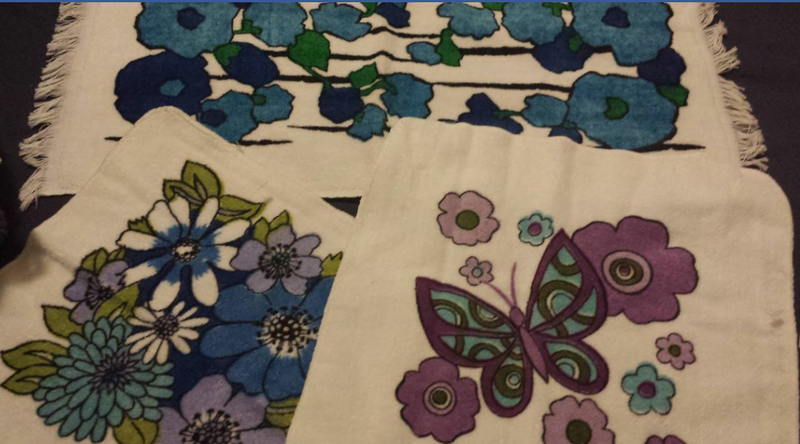 These aren't them all, just showcasing some patterns. I think maybe 12 to 15 unused towels in all! I also found a Horizon Blue 024! My second one since November, which I had ended up selling. I am not into 024's. 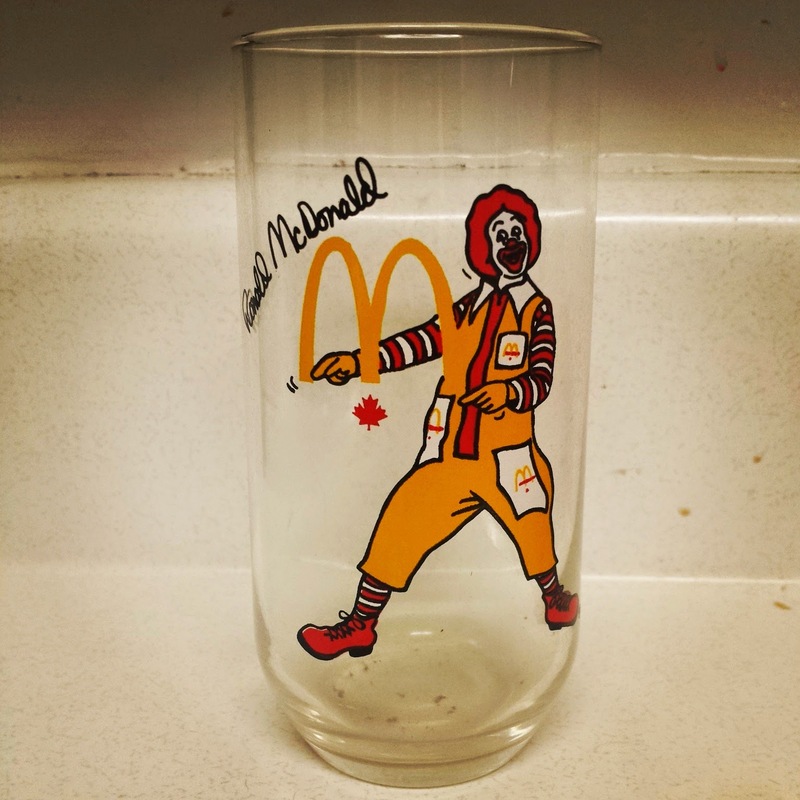 Also bought this Ronald McDonald glass. No year. 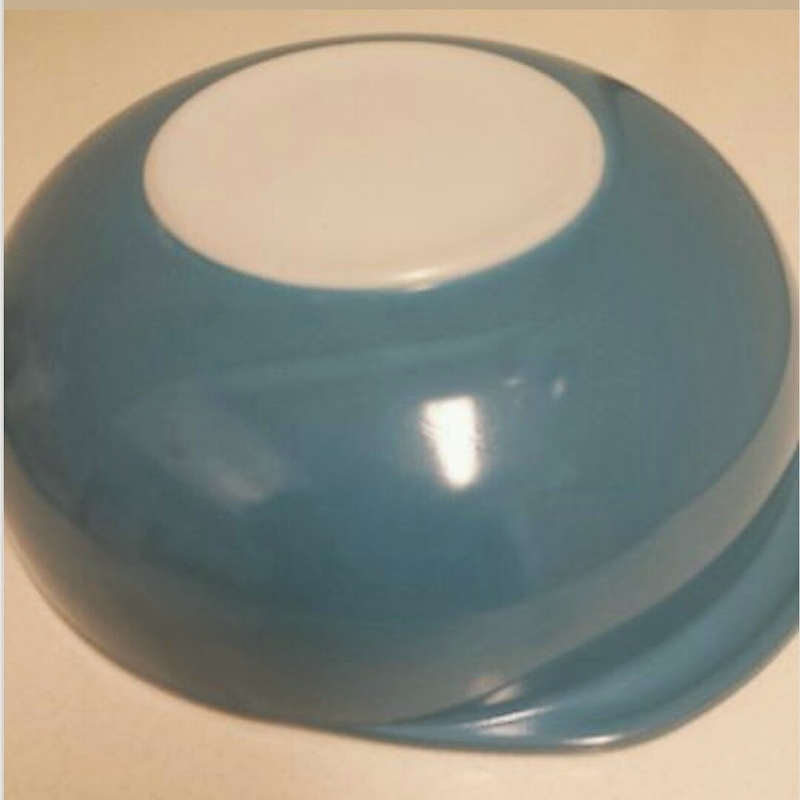 Anyone know what decade it's from? Hope you have a great week hunting! I'm finally on the end of my sickness... so happy! LOL. Link up if you got some fab finds this week below.